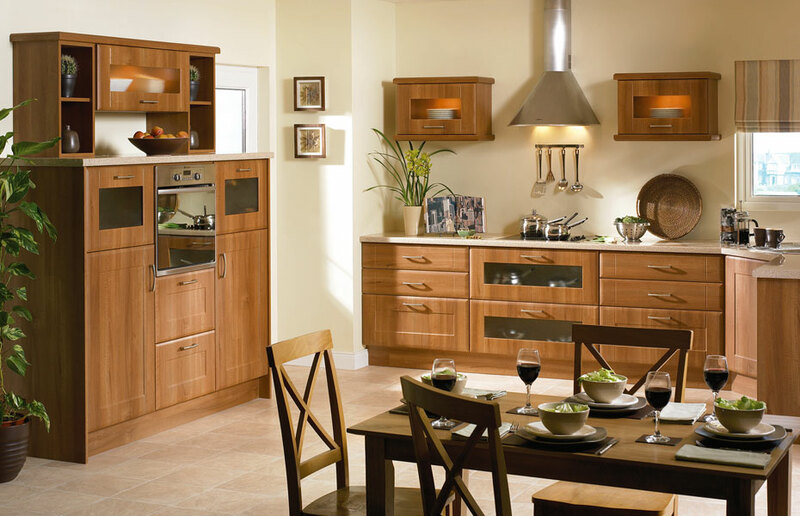 With its classic Medium Walnut units this appealing kitchen would suit a wide variety of settings - be it modern or older properties. The Shaker Auckland styling has been developed with broad stiles and soft chamfered edges. The extra tall base unit houses the oven whilst creating excellent worktop space. Shaker Auckland design kitchen doors in Medium Walnut start at just £16.82 each. Click the button to request a free large sample swatch of Medium Walnut. Click the button to purchase a Sample Shaker Auckland design door in the Medium Walnut finish. 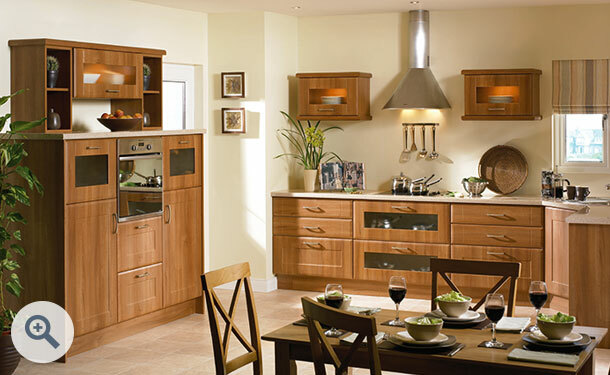 The Shaker Auckland design is also available in ALL non-gloss finishes. The Shaker Auckland design is also available in ALL high gloss finishes. Please Note: The Shaker Auckland design is not available in any high gloss finishes.